YES! that's right kids — visit our railway and you get a free creme egg! 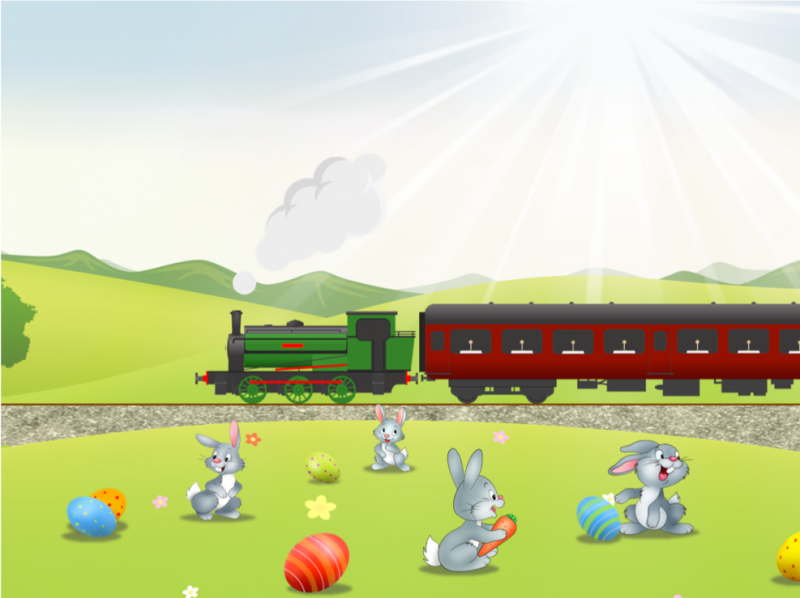 Take a ride on one of our Easter Egg Special trains with the family and ride through the Northamptonshire countryside as a locomotive pulls you along on a 4-mile round trip. Afterwards, enjoy a walk along the Brampton Valley Way a 14-mile “linear park” along the historic Northampton to Market Harborough line, or take another ride on the train with your All Day Rover ticket. Groups/Parties of 10 or more receive 10% discount (added automatically when buying online).